I love the cover for this book and that is the only downside about reading it on a kindle! It's also extremely metaphorical for the subject of this book - such a simple image but one which conveys so much about the relationship between a parent and a child and the questions about the level of control, freedom and trust that should exist between them. The strap line on the cover asks "Have you ever wanted to be the perfect mother?" Well, doesn't everyone? Despite what we say aloud, most of us are still chasing the holy grail of "getting it right" - I am beginning to adopt Anoushka Beazley's title "The Good Enough Mother" as a more realistic goal, although there are plenty of times when even that feels unachievable! So naturally this cover is eye-catching and intriguing and I think it will be a popular choice for a lot of female readers. Isabel Murrow is precariously balancing her career and her family. Hard-working and caring, worried but supportive, all Isabel wants, in a perilous world of bullies and temptations, is to keep her daughter Phoebe safe. Phoebe has just attempted suicide. She says it is Isabel's fault. The story opens with teenage Phoebe meeting Shane through Facebook and her excitement about arranging to meet him. The line "his handsome Facebook visage hovered in her mind" leaps out at the reader with blazing red lights and immediately raises the question of Shane's real identity. Phoebe's naivety and desperation for Shane's affection all too worryingly palpable for the mother's and father's amongst us. Then Feely pushes on, throwing Phoebe into a deeper state of anxiety as Shane starts to argue with her online and we witness her humiliation and frustration as she quickly loses control of the situation. "In the four weeks they'd been communicating she'd never heard his voice.........If only she had his cell number....."
Alas for Phoebe, this exchange remains very public. It's not even through private messaging but on her Facebook wall, for all to see and for all to join in. The rate at which this conversation suddenly becomes an unrestricted onslaught from what feels like hundreds of other voices is scary and it is impossible not to fear for Phoebe's vulnerability when she is stripped of any opportunity for explanation. Phoebe is not a bad child at all, she is likeable and normal. Basically she is struggling to keep up with the dynamics, rules and behaviour of a clique of girls and to survive the fragility of friendships that can have such an influence on children at this age. She's confused and torn between two girls and her need to be accepted and liked override anything of more substance. 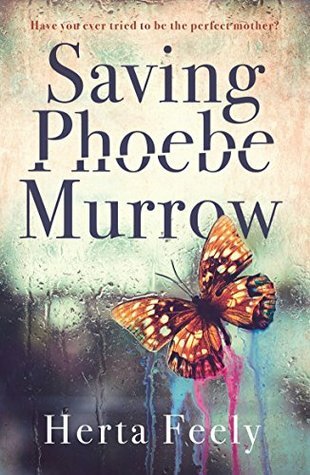 Frustratingly for Phoebe, it appears to be her mother Isabel who causes trouble for her by interfering, punishing and involving the police in an attempt to teach Phoebe about actions and consequences. Strangely I sympathised with Phoebe more than perhaps I was meant too. I think it's very easy to relate to that sense of injustice one feels as a teenager through those years when you're trying to establish yourself as an adult and seem continuously locked in a battle against your parents for understanding, freedom and fairness. This is a theme that will forever make a good premise for a novel. Feely breathes new life into her exploration of this relationship with the very timely use of social media, in particular Facebook, and the added threat this can have for young people as they begin to go out later, mix with teenagers you know less about and make their own friends. Isabel, for all her faults and flaws, is only doing what she feels is best. She is perhaps too heavy handed at times but she is also a thoroughly modern mother juggling a family and a career. She loves her daughter deeply and is all too aware of her daughter's vulnerability, but this overprotection sees her making decisions too hastily without considering the ripple effect in a world where there is no such thing as doing anything anonymously anymore - all actions, conversations and relationships can be traced, watched and shared. Ron, Isabel's husband is a slightly annoying character. His ideas on parenting are the opposite to Isabel. When talking to a fellow father one evening, he realises that perhaps Izzy is overreacting or too controlling. He knows his wife can be difficult and has "strong feelings about child rearing" but I felt that he could have done more to support her. He obviously feels quite threatened by her and intimidated by the fact she earns more than him. He has also been unfaithful and his commitment to Isabel and Phoebe is questionable. It also adds more tension to the marriage and therefore more tension to the situation with Phoebe. Isabel does try to seek counsel from other parents when considering how to set boundaries for Phoebe but is given short shrift. Her conversation with Lorraine, Emma's mother is particularly revealing. Lorraine says "there's little I can do about the choices she makes each day after she leaves the house," but Isabel's dilemma comes from the fact that she thinks there is. "There are things a parent can do, in fact is obligated to do, to keep her child on the right path," she thinks to herself. But how far should this influence and control go? What is the limit to the limits you should put on your child? If other parents aren't taking the same precautions, does that make them weak parents or are you too heavy handed? And what is worse, thinks Phoebe after talking with Emma, "a mom who cared about every little thing or a mom who couldn't care less?" Isabel struck me as quite unhappy and lonely. She is angst ridden and obsessed with her daughter. She is still in the shadow of her father and his imposing influence. She remembers he told that the "best lessons are as painful for the parent as the for the child." She believes she needs to be stronger, refusing to back down or re-negotiate with Phoebe even when "it makes her ache inside." She frequently refers to Phoebe's comments and how deeply they hurt her. It is clear that although she thinks she is doing her very best for Phoebe by working, providing and being a mum, in Phoebe's eyes, her mother's career comes first. This really is a tale about a modern day mother who is trying to negotiate the tricky road of parenting a modern day teenager in a modern day world. The family are not particularly happy. Although the crux of the novel centres around Phoebe's friendships and relationship with social media, there are many other themes faced by the characters, adult and child alike. There are numerous points worthy of discussion, some more controversial and obvious than others but certainly this is a thought provoking read for our time. Phoebe self harms. 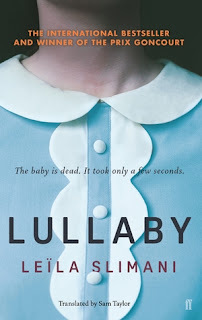 I felt that this was written about with sensitivity and authenticity, but I did wonder if it added one too many layers to the issues already in the novel. Although perhaps integral in some ways to Phoebe's character, I did feel that maybe it is quite a lot to explore both self harm and the dangers of social media within the same pages. However, that said, the mental health of our teenagers is currently a huge concern and a very serious problem. These two issues are probably much more prolific and much more hand in hand than we realise. The thing that I liked most about this novel was also the very thing I found most difficult about it! The characters are not likeable; they are heavily flawed and they make frustrating decisions. But they are vivid and created convincingly. They provoked an emotional reaction from me which is an indication of their success. The novel explores traditional themes of jealousy, love, protection and marriage but with an injection of contemporary concerns. Life is not black and white. Life is complex. Decisions are riddled with dilemmas and repercussions. Parenting is a highly emotive subject and a highly subjective job. This is a Jodi Picoult kind of novel, full of domestic drama and I would recommend it to people who can cope with characters who are sometimes frustrating, sometimes unlikeable but faced with the challenges and complexities of issues we are all confronted by. This is a book to generate discussion and perhaps divide opinions, but never judgement. Thank you NetGalley for an ARC of this book.